Robert B. Cridland writes to inquire about making arrangements to visit Berry. Robt. 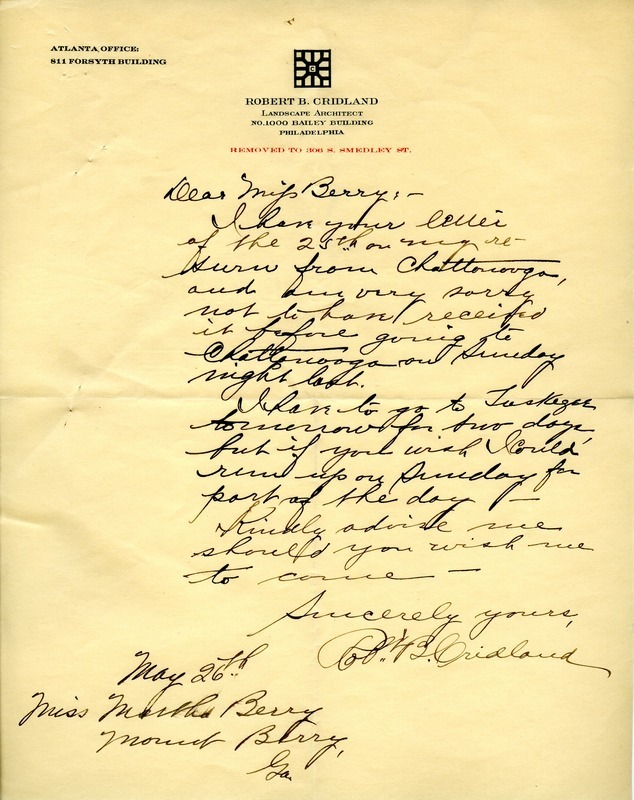 B. Cridland, “Letter from Robert B. Cridland to Martha Berry.” Martha Berry Digital Archive. Eds. Schlitz, Stephanie A., Sherre Harrington, et al. Mount Berry: Berry College, 2011. accessed April 21, 2019, https://mbda.berry.edu/items/show/1271.